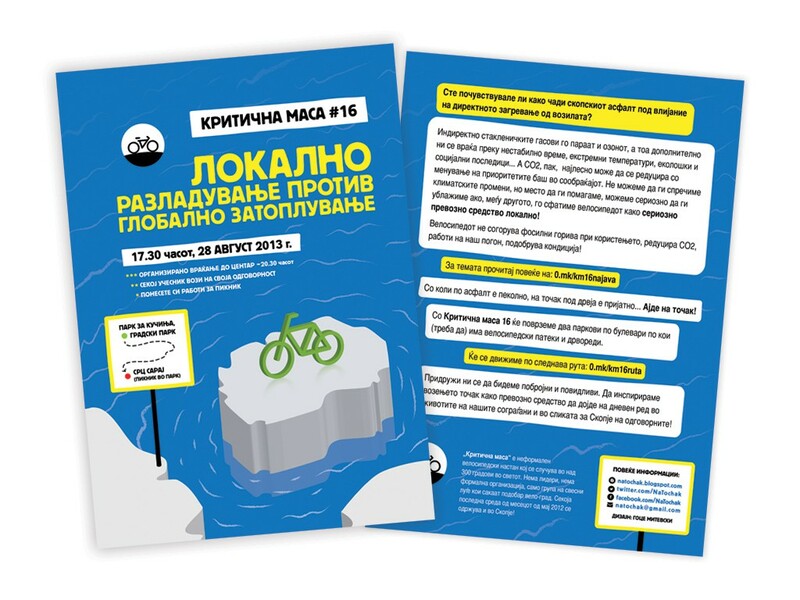 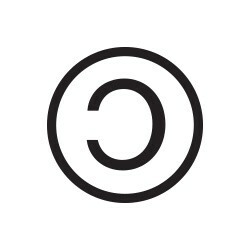 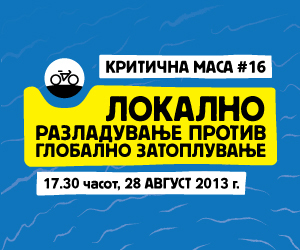 Graphic design and illustration for the 16th Skopje Critical Mass (“Критична Маса/На Точак”) event, held on 28th August 2013. 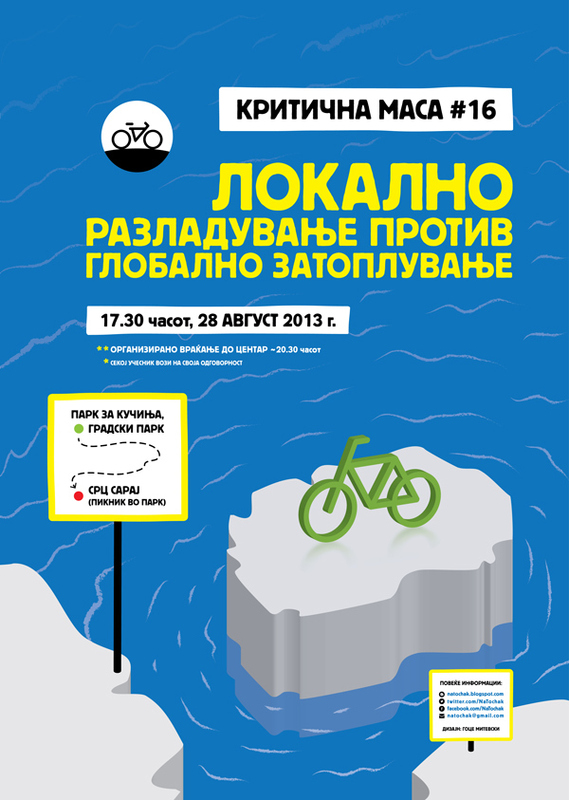 The event was dedicated to global warming and how it could be slowed down or prevented through the use of bicycles. 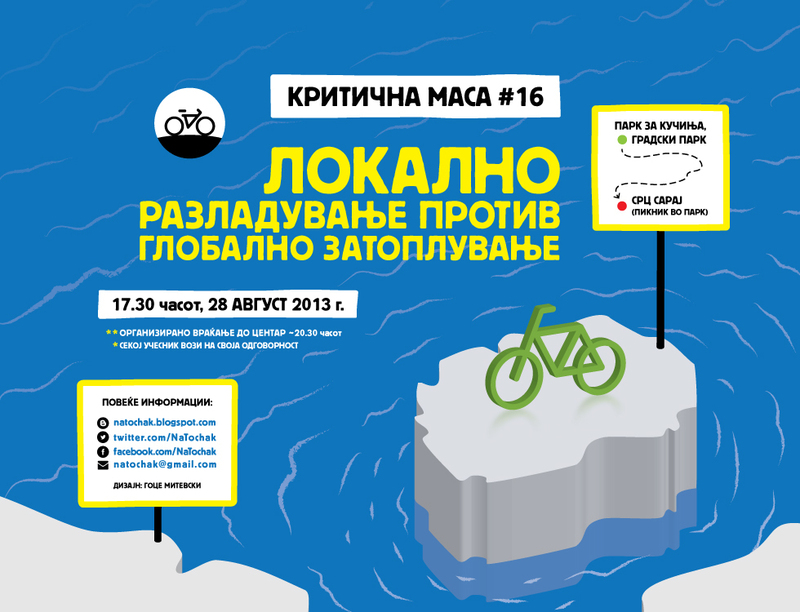 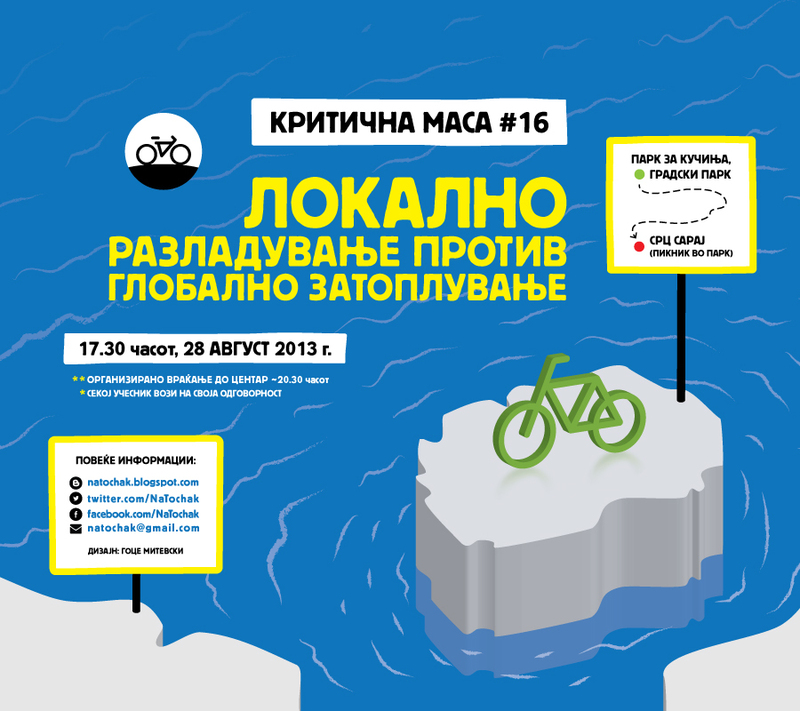 The Skopje Critical Mass is a monthly event in Skopje, Republic of Macedonia.